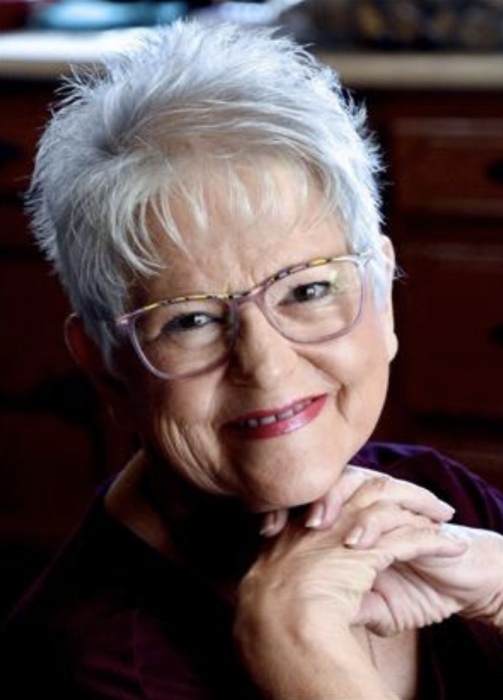 Lora E. Dille Miller, 70, of Zanesville, passed away at 6:25 a.m. Friday, March 22, 2019, at her home, with her husband and family by her side. She was born August 14, 1948, in Stockport, a daughter of the late Arthur Dille and Bernice Waite Dille. She was a hairdresser, in McConnelsville, for over 30 years as owner operator of LaRae's Styling Salon and later as Lora's Second Act. Lora accepted Christ as her Lord and Savior and was a member of Main Street Church Of Christ in McConnelsville. Upon moving to Zanesville, she attended Westwood Baptist Church. Lora lived her life to the fullest and enjoyed being with family and friends. She loved going shopping with those she loved. She will be remembered for her infectious laugh. She fought a long three-and-a-half year battle with cancer. She faced this with courage and dignity and a positive attitude. She is survived by her husband, Ron Baldwin; step children, Rhonda-Ashley Lampton of Brownsville, Deana (Brent) Davis of Zanesville, and Matthew (Kim) Baldwin of Zanesville; sisters, Loretta Milligan of Zanesville, Linda (Johnny) Schmitt of Middletown, Denise (Susan) Dille of Little Hocking, Debbie (Jim) Pauley of Duncan Falls, and Donna Short of Vero Beach, FL; brothers, Carlos Dille of McConnelsville, Bill (Janice) Dille of Millersburg, Roger (Lynda) Dille of McConnelsville, Danny (Pam) Dille of McConnelsville, Mike (Jody) Dille of McConnelsville; and several nieces and nephews. In addition to her parents, she was preceded in death by her former husband, Marvin Miller; one sister, Darlene Mullen; and brothers, Verlyn Dille and Richard Dille. Friends may call from 11 a.m to 2 p.m. Monday, March 25, at the Church of The Gospel Ministry, in McConnelsville, where services will be held at 2 p.m., with Pastor Mark Ballmer officiating. Lora will be laid to rest in McConnelsville Cemetery. Memorial contributions may be made to MoCo Team Blue. Miller-Huck Funeral Home, in McConnelsville, is entrusted with arrangements.